R.V. College of Engineering popularly known as RVCE established in 1963 is one of the self-financing engineering colleges run by RSST (Rashtreeya Sikshana Samithi Trust) a non profit trust. RVCE is spread over 51.6 acres with all basic amenities like ramps and lifts to help the disabled and sick people. The class rooms are provided with internet facility AND multimedia projectors. All academic blocks have secured Wi-Fi connectivity. RVCE’s vision is “Quality Technical Education, Research and Innovation with focus on sustainable and inclusive technology” . The environment in RVCE for knowledge assimilation, with a sense of social responsibility has carved a niche for itself among the best technical institutes. The special emphasis is on OBE (Outcome Based Education) and Experiential Learning. The academic activities concentrate on helping the students to gain theoretical knowledge base and in the development of skills to implement them. The main objective is to deliver outocme based education, emphasizing on experiential learning with the state of the art infrastructure and to create a conducive environment for interdisciplinary research and innovation.The aim is to develop professionals through education focusing on individual growth, discipline, integrity, ethics and social sensitivity leading to competency enhancement and entrepreneurship.The college mainly focus on technologies that are sustainable and inclusive, benefiting all the students. 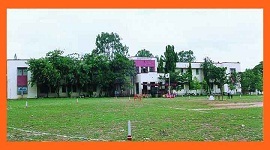 RVCE has Food Court which is spread over 500 sq.mts and designed to cater to 1000 students. Food Court has a modern kitchen where food is steam cooked and the washed dishes are sterilized for hygienic serving. RVCE provides transportation facility for both students and staff. These buses take care of commutation of about one thousand students. There are two exclusive buses for the staff. 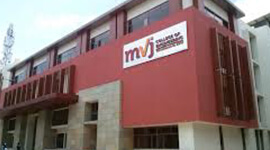 RVCE campus has a branch post office, with the postal identification and Kotak Mahindra bank which is fully computerized and air conditioned which caters to the need of 4000 students and staff. It also provides Electronic payments facility for parents and students to pay fees, hostel charges, mess bill, University fees etc. RVCE has an exclusive health Center which is open to all the students and faculty from 9 am to 7 pm with ambulance facility at the Health center to meet any emergencies. RVCE provides sports facilities like cricket field, football, basketball, volleyball and badminton courts. RVCE has reprographic services and internet facilities on campus.It provides best hostel facility with comforts needed for students.The hostelites are provided sports, gymnasium and browsing facilities. RVCE has maintained an excellent recruitment record. The students of RVCE have been recruited by some of the world’s leading corporate, besides leading Indian companies.The training department, prepares the students to work in global multicultural corporations / industries to assist students to improve technical skills, interpersonal skills and communication skills. The Department of Placement & Training has the ability to plan and implement value added programs such as the Technology Training Programs in the areas of interest and requirements for the Industry , Personality development programs and Bridge Courses to help students.Placement and Training department provides necessary Pre-Placement training for students arranged by various industries / corporate, on the process of interview of different industries. Admissions are done as per the Govt. of Karnataka norms and admission matrix. 45% of the seats are filled through Common Entrance Test conduced by KEA. 30% of seats filled through COMEDK test conducted by private management association. 25% of the seats are filled by management quota.The minimum percentage of marks is followed as per AICTE norms. Admission to post graduation courses is as per KEA norms. Scores in PGCET conducted by KEA and GATE is the primary criteria for admission into PG programs.The minimum percentage in eligibility examination for admission in PG programs is 50% for general merit and 45% for SC/ST. RV College of Engineering is established in 1963 is one of the earliest self-financing engineering colleges in the country. 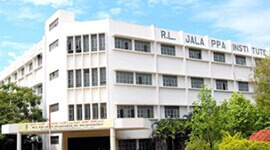 RVCE is today recognized as one of India’s leading technical institution. 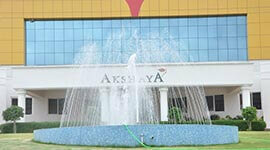 The college is AICTE approved and NBA accredited. 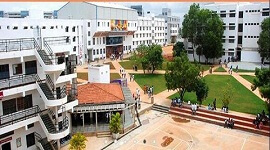 The courses affiliated to Visvesvaraya Technological University. The college is ranked 35th among 'Top 100 Engineering Institutes for Research and Teaching' in India by National Institutional Ranking Framework (MHRD). RVCE offers 12 Under Graduate Engineering programmes, 22 Master Degree programmes and Doctoral Studies. The college Sprawling campus is spread over an area of 52 acres set in sylvan surroundings which provides an ideal ambience to stimulate the teaching-learning process, helping in bringing out skilled and disciplined Engineers. It is rated one amongst the top ten self-financing Engineering Institutions in the country. 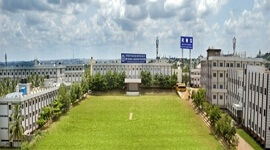 The college is known for highly qualified and dedicated faculty. The college utilizes its expertise in various disciplines to conduct Research and Development for industry and defense establishments in the country. The college has Collaborations with Universities /institutes /industries for student exchange programs, research, training etc. 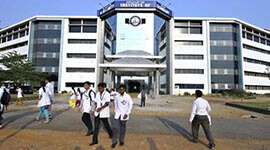 It’s VTU recognized research centre. The college has Wi-Fi enabled campus and Class rooms are provided with multimedia projectors and internet facility. Each department has separate and specialized labs. The college has placement cell which has consistently maintained an excellent recruitment record. Students have been recruited by some of the world's leading corporate, besides leading Indian companies. Cafeteria where students and staff can get healthy and hygienic food.